It's official—Seattle is getting a hockey team. The National Hockey League's Board of Governors unanimously approved expanding to Seattle, starting in the 2021–2022 season, on Tuesday morning. The announcement leaves the Oak View Group, which is privately funding the project, to demolish and begin construction on the new stadium immediately, according to a press release Tuesday. 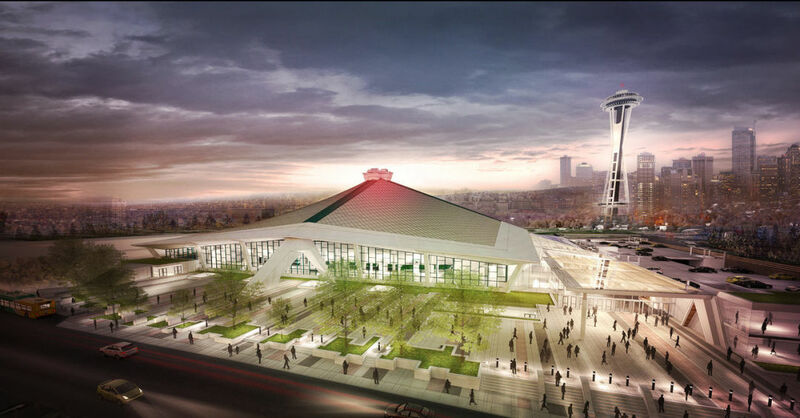 After years of controversy over the Supersonics' exit from Seattle, and the city's next move to attract a National Basketball Association team, Seattle officials moved ahead with renovating KeyArena at the Seattle Center rather than building a new sports stadium in SoDo. Elected officials promised a $700 million renovation plan to KeyArena would attract an NHL team to the city first, and possibly an NBA team. The Seattle City Council approved the plan in September, which is privately funded by the Oak View Group. While the original timeline set a goal of bringing a hockey team into Seattle by October 2020, the announcement delays the expansion by another year to give time for KeyArena's construction. "This is an awesome day for Seattle and Seattle sports fans," said mayor Jenny Durkan in a statement. "Seattle is one of North American's great sports towns, and we're about to become one of its great hockey towns."